Earlier this year I introduced Crime Watch readers to a debutant Kiwi author who wrote crime/thriller fiction for young adults; Palmerston North Boys' High physics teacher Ken Benn, whose debut LETHAL DELIVERIES is intended to be the first in a trilogy. Soon afterwards I discovered that well-known New Zealand writer Ken Catran had also written some young adult books with a crime fiction bent - I managed to get my hands on BLUE MURDER and a couple of his other young adult crime novels (which are sitting, waiting to be read, on my ever-burgeoning Kiwi crime fiction bookshelves at home). Here's part of Catran's bio from the New Zealand Book Council website: "An award-winning children’s writer and scriptwriter who has written for some of New Zealands best-loved television series. He has won many awards for his television scripts and in 1986 was a finalist for Best Overseas Programme at the US Emmy Awards. His books for children and young adults engage with the historical, the fantastical, and science fiction. 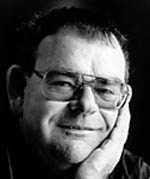 He has been shortlisted many times in the New Zealand Post Book Awards and won Book of the Year in 2001. In 2004 he won the Esther Glen Award for a distinguished contribution to literature at the LIANZA Childrens Book Awards." Catran, who has won nine writing awards and written close to fifty books, was also the 2007 recipient of the Margaret Mahy Award for services to children's literature. And this year he has released another mystery novel for young adults, SMILING JACK. Here's his new book's blurb: "There's something wrong with this picture. Robert lives in a small, prosperous rural town where his father is a respected and trusted pillar of the local community and financial advisor to the eccentric but essentially harmless community of Atenists who live nearby. When Robert's father and uncle are killed in road accident his comfortable world rapidly begins to unravel. 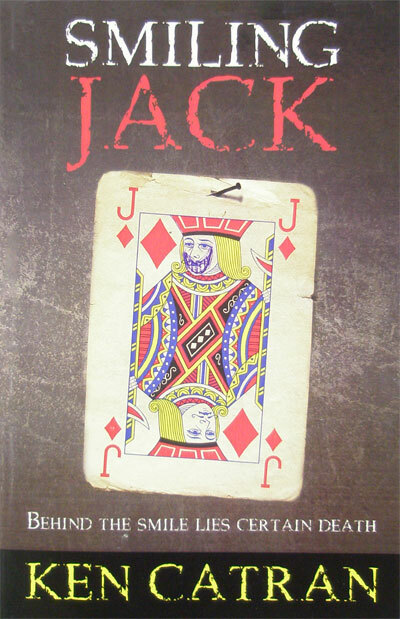 With so much to deal with, he barely thinks about the evil grin on the playing card Jack found at the site of the accident. Until the second death, and the third, when once again Jack's leering malicious grin is found nearby. As Robert realises he never knew his father, those people his father betrayed turn against him, and he is forced to look deep into the shadows that are closing in if he is to get out alive. A classic whodunnit with a startling and unexpected twist, Ken Catran's dark and brooding murder mystery is a real page-turner that will have you looking over your shoulder like Robert, desperately trying to second guess Smiling Jack." I'm going to try and get my hands on a copy of SMILING JACK soon too. Good to see more and more New Zealand crime fiction (adult and young adult) being published. You can read more about Ken Catran on Wikipedia here, at the New Zealand Book Council website here, at NZ On Screen (for his TV credits etc) here, and in an interview with kid readers at the Christchurch City Library here.